Personally, I don’t care much if you’re a vegetarian, a vegan, somewhere in between, or if you like meat. I think the world needs all types and that’s fine. However, I DO mind, (greatly, in fact,) when you push your cause on me and the world. And if you use video games to do it, especially if you take a beloved game and twist it to your cause? Hmmm… decide for yourself. 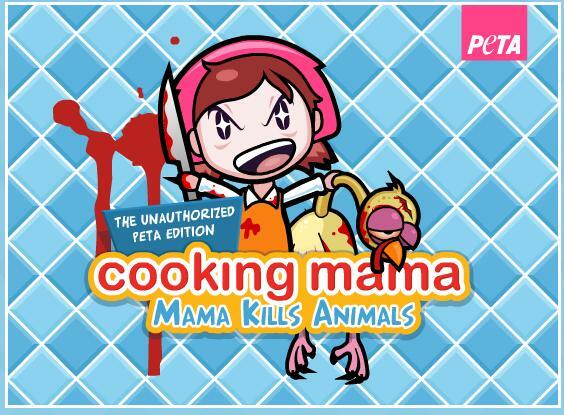 Anyway, if you dare (not for little kids, due to blood and guts…quite seriously here): Cooking Mama: Mama Kills Animals!